The author describes one of Buffett's investments in the early 1960's by the name of Dempster Mill. The business was badly managed and the banks were closing in when Buffett bought it on the cheap and put a manager in place (recommended by Munger) to turn things around. The business was saved, but not before the manager had instituted layoffs to cut expenses. The people of the town that relied on the mill were furious that an "outsider" like Buffett was able to profit while many lost their jobs. Buffett was puzzled, wondering if the townspeople knew that he had saved the business. As someone who prefers to please people, Buffett learns from this experience; in the future, he would be better at avoiding the anger of the public. While Buffett was busy generating returns for his own fund, Charlie Munger was starting a fund of his own. He and Buffett continued to stay in touch, and both learned from each other. Munger did purchase some "Ben Graham"-type stocks, but he preferred quality businesses with competitive advantages. Buffett was influenced by Munger and Philip Fisher (whose book is summarized here) as he transitioned from being a "Ben Graham" investor to one that also looks for companies with intangible assets that generate wealth. This new outlook, in combination with the Salad Oil Scandal that halved the shares of American Express, would lead to Buffett's lucrative purchase of American Express. “With some, the idea of buying dollar bills for forty cents takes, and with some it doesn’t take. It’s like an inoculation. It’s extraordinary to me. If it doesn’t grab them right away, I find that you can talk to them for years and show them records—you can do everything—and it just doesn’t make any difference. I’ve never seen anyone who became a convert over a ten-year period with this approach. It’s always instant recognition or nothing." 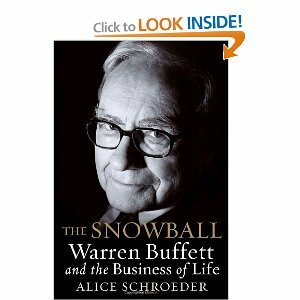 During the early 1960's, Buffett's father also died. Only after his father's death does Warren feel comfortable enough to own up to being a Democrat (Buffett's father was a Republican congressman). Buffett's main reason for defecting was the Democrats' "pro" stance on civil rights. Nevertheless, by 1965, Buffett's net worth is close to $10 million while he manages much more through his investors/partners. Investments are hard to come by, and so Buffett closes the fund to new money.